As the mornings sun crests the horizon it colors the skies of Dune Beach and Southampton a fiery red. 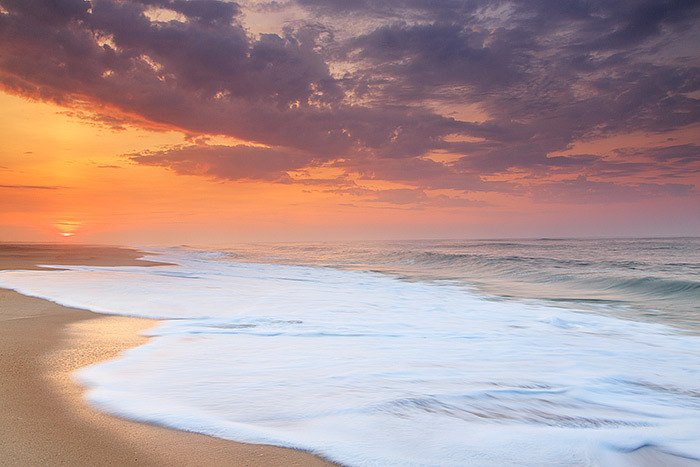 The pounding of the aquamarine surf on the beautiful sandy beaches made for a memorable morning of photography. The beaches on Long Island's east end are some of the most beautiful in the world. Photographing dramatic condtions on Dune Beach such as these is just icing on the cake. Photo © copyright by Thomas Mangan.